Oral Streptococcus bacteria. Coloured scanning electron micrograph (SEM) of chains of Streptococcus sp. bacteria from the mouth. 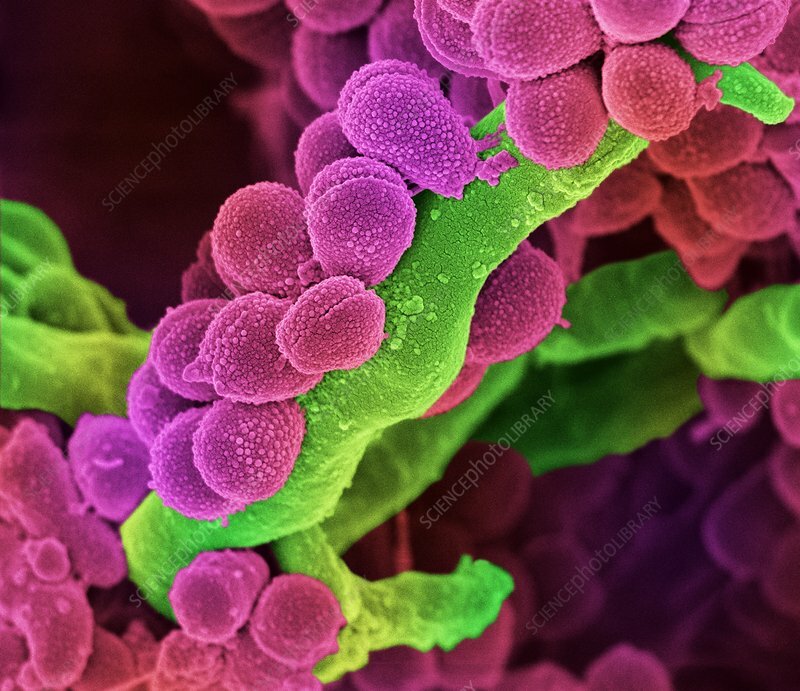 Streptococcus bacteria are an example of cocci (round bacteria) that form chains. There are over 50 species of Streptococcus bacteria, some of which cause disease in humans.